3BR HOME EASILY ACCOMMODATES 2 FULL BATHS! 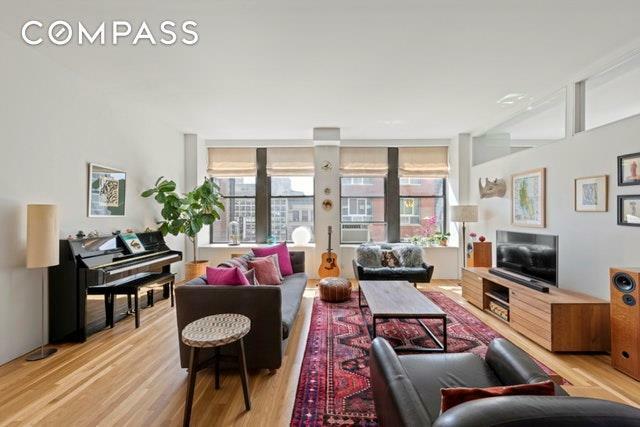 Flooded with south sun, this stunning three bedroom corner loft features oversized windows, soaring ceilings, hardwood floors, and an expansive layout. With over 1,700 square feet of living space, the floor plan offers tremendous flexibility and easily accommodates a second full bath. 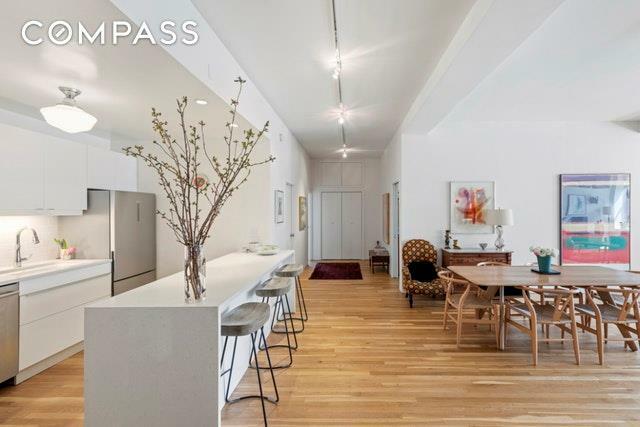 The bright living and dining areas are a remarkable 19 feet wide, providing plenty of space for living and entertaining. The open renovated kitchen features white quartz counters and breakfast bar and is fully equipped with stainless appliances including a Haier refrigerator, Bosch gas range and a Bosch dishwasher. All three bedrooms are generously sized and offer massive windows. Spacious and serene, the windowed bath has a beautiful cast iron freestanding tub. An oversized in-unit laundry room is complete with washer/dryer and an abundance of extra storage. 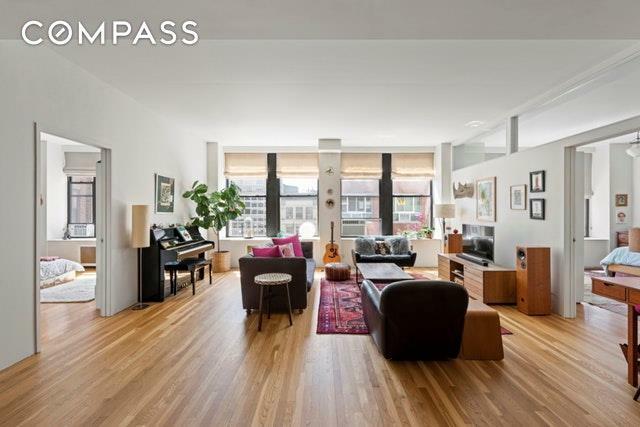 Nestled in a boutique condo with only two units per floor, this home is superbly located within steps of many train lines, shops and restaurants. 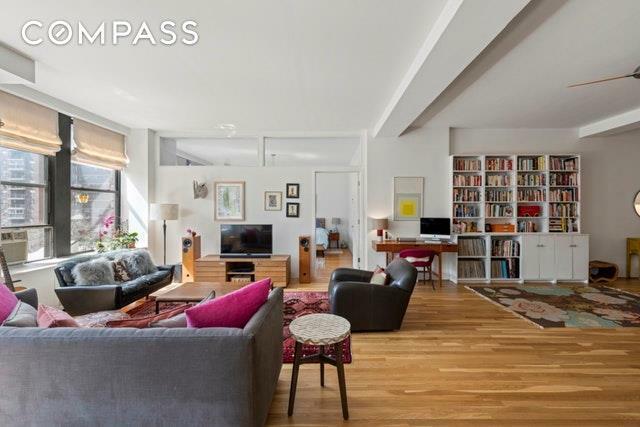 Real Estate taxes include the primary residence condo abatement and pets are welcome!